← ♫ Laura Maxwell interviews: Ex Hindu and Yoga Guru from India – Purvi’s Story. 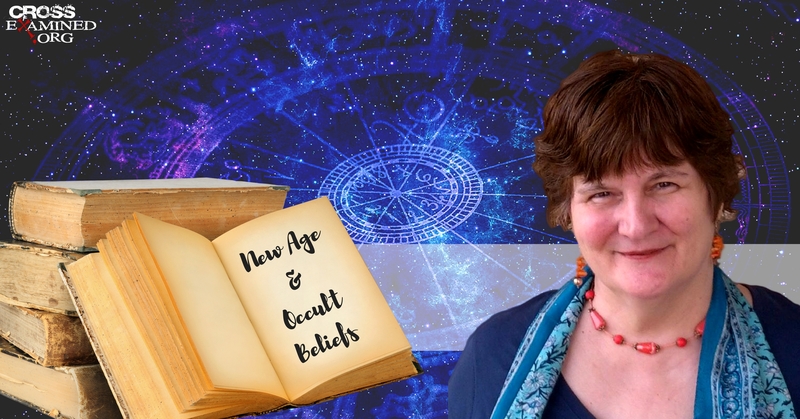 Former professional certified astrologer and former teacher of astrology, Marcia Montenegro is a woman who I highly admire and have loved her resources for years!!! She’s been a guest on my radio show The Supernatural with Laura Maxwell and her articles have featured on my blog. Please read her very informative interview below! I’m excited to share an interview with Marcia Montenegro! Marcia was involved for many years in Eastern and New Age beliefs, and was a licensed professional astrologer. She became a Christian in 1990 and today has a ministry called Christian Answers for the New Age. Her ministry exists to 1) educate Christians about the New Age and occult so they can be more discerning and equipped to witness, and 2) reach people in the New Age and the occult with the love and truth of the Gospel. Marcia has a Masters in Religion from Southern Evangelical Seminary and is a missionary with Fellowship International Mission. She has spoken in 30 states, is a frequent radio guest, and has published articles in several Christian publications. She is the mother of an adult son, and is the author of SpellBound: The Paranormal Seduction of Today’s Kids. By Marcia Montenegro, Former new ager, professional certified astrologer and former teacher of astrology. Please see her ministry Christian Answers for the New Age. This entry was posted in Aliens, Alternative Healing, Angel Cards, Ascended Masters, Astrology, Books, Buddhism, Channeling, Dead People, Divination, Energy Healing, Fairies, Frequently Asked Questions, Ghost Hunting, Gnosticism, Guest Articles, Harry Potter, Hauntings, Hinduism, Hypnosis, Karma, Magazine Articles, Meditation, Mediums, Merlin the Magician, multidimensional beings, Necromancy, New Age Luciferianism, Occult, Paganism, Paranormal, Parapsychology, Past Life Regression, Past Lives, Pleiadianism, Poltergeists, Reiki, Reincarnation, Residual Energies, Seance, Shamanism, Spirits & Ghosts, Spiritualism, Summoning Spirits, Supernatural, Table Tipping, Tarot Cards, Testimonies, The New Age, The Ouija Board, Theosophy, Truth Seeker, Whistleblowers, Wicca, witch, Witchcraft, Yoga, YouTube, Zeitgeist and tagged Budhism, CANA, Christian Answers for the New Age, Ex Astrololger, Ex clairvoyant, Ex New Ager, Marcia Montenegro, Spellbound. Bookmark the permalink.